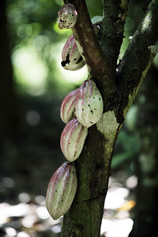 Huiwani’s cocoa are naturally grown and are mainly of the types; Amazonia, Trinity and hybrids of Amazonia and Trinity. 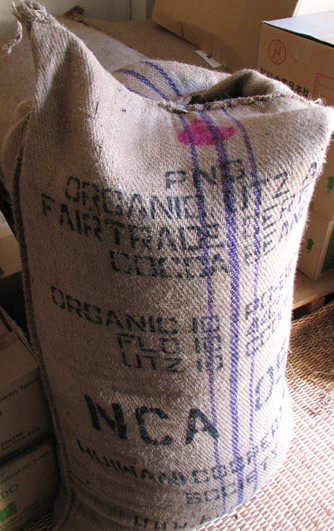 Some local varieties of Criolo are also produced. 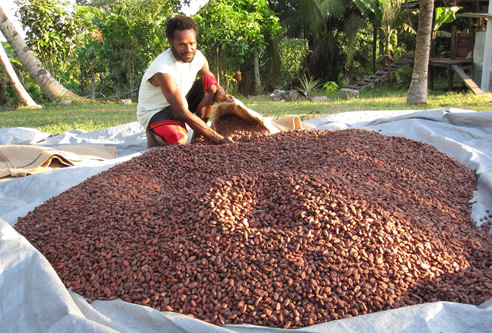 All cocoa beans are sold mixed. Because our farmers use traditional farming methods no agro-chemicals are used. 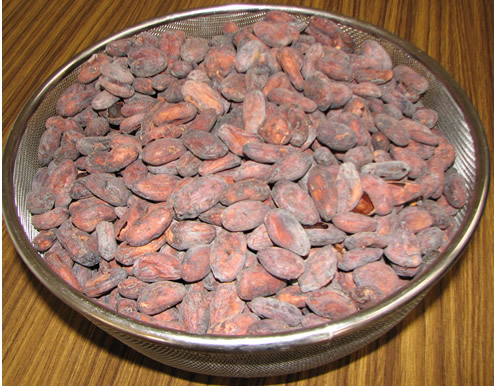 1.Prepare a patch of land under the forest canopy, because cocoa seedlings grow best in shade and be careful not to disturb the scorpions and poisonous snakes. 2. 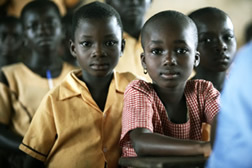 Keep a beady eye on any weeds in the heat they can grow much faster than cocoa plants and might smother the thousands of tiny white blossoms which are the first stage in growing the cocoa. 3. Chop the cocoa pods which look like giant yellow rugby balls off the tree trunk. 4. 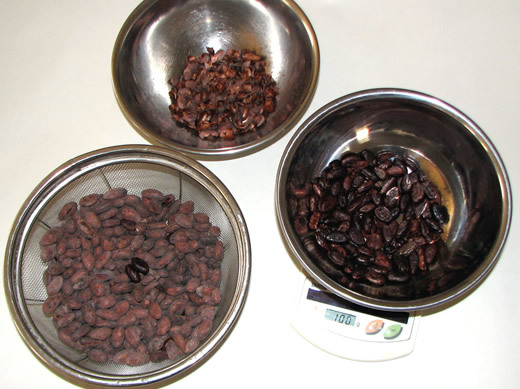 Split the pods open and scrape out the damp white cocoa beans. 5. Wrap the beans in plantain leaves and pile them in heaps to ferment for a week in the sun, which stops them germinating. 8. 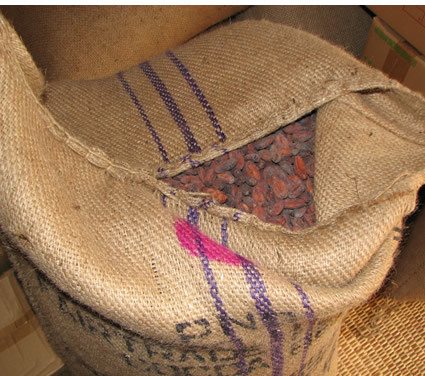 Convey the sacks to the nearest port/Depot for onward carting to the port to be exported to make chocolate.